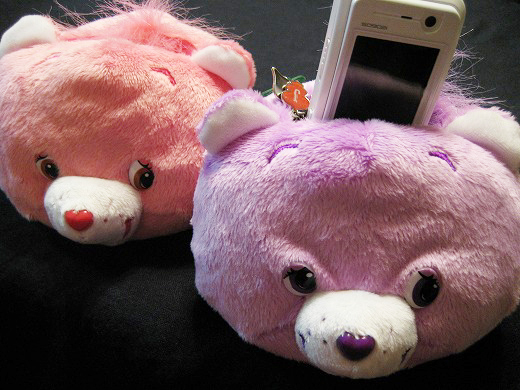 These are cute Care Bears cell phone stands. Their funny faces make me feel happy. 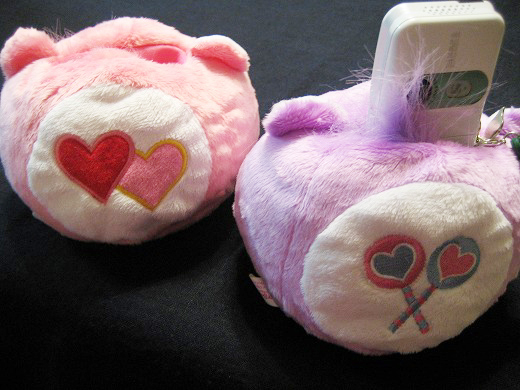 Wow, those are very cute.